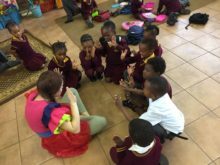 In October 2016, Clowns Without Borders South Africa did some training of local artists in Durban and Johannesburg. 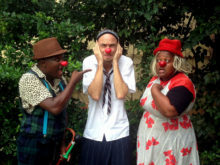 In August 2016, Clowns Without Borders South Africa did a performance based tour in Kimberley, Northern Cape. In August 2016, Clowns Without Borders South Africa did some training of local artists in Cape Town. 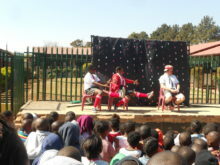 In March 2016, Clowns Without Borders South Africa did a performance-based tour in Eastern Cape collaborating with Sinovuyo Teens to perform for their randomized control goups.